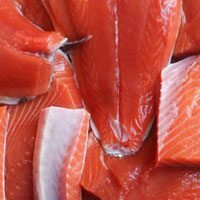 We provide the finest saltwater salmon & halibut charter fishing experiences in the world, with a passion for service, sport and sustainability in Sitka, Alaska. 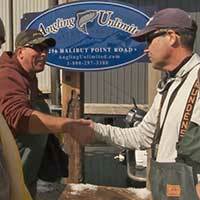 Captain Tom Ohaus founded Angling Unlimited out of Neah Bay in 1988 from his passion for light tackle. In search of the ultimate salmon fishing paradise, Captain Tom arrived in Sitka, where he met Chuck McNamee. 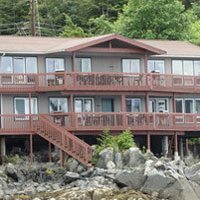 For nearly 30 years, Tom and Chuck have built Angling Unlimited on the highest standard of hospitality and charter fishing, while seamlessly bringing value through every stage of our guests’ stay. Our methods are hands-on and our tackle is as light as you like. Our lodging is convenient and comfortable for groups of all sizes. 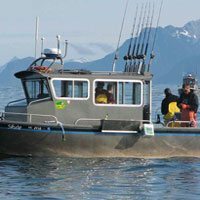 Our boats are built for the waters around Sitka and are comfortable for anglers of all ages. 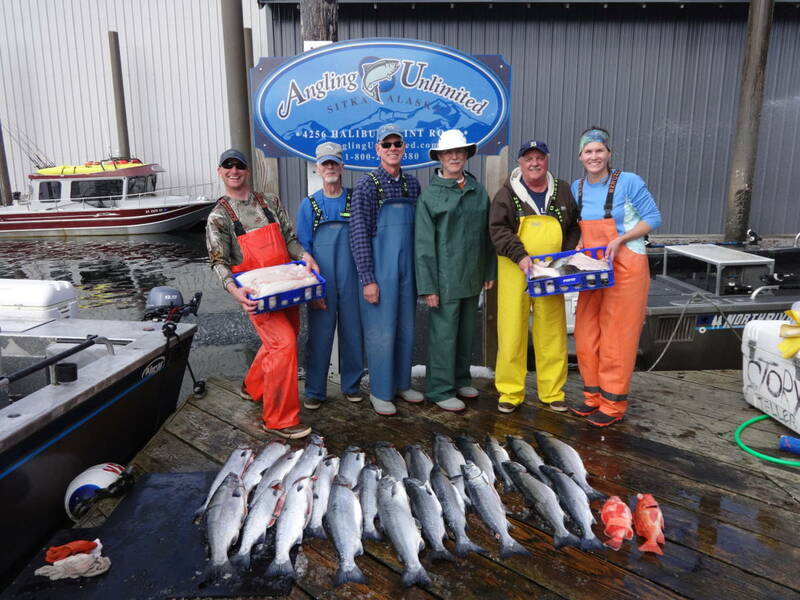 Our friendly crew will see to it that your Alaskan fishing vacation is as complete as possible. Join us, and you’ll see why 90% of our business is repeat or referral. Our guests expect nothing less than the best, and we deliver! 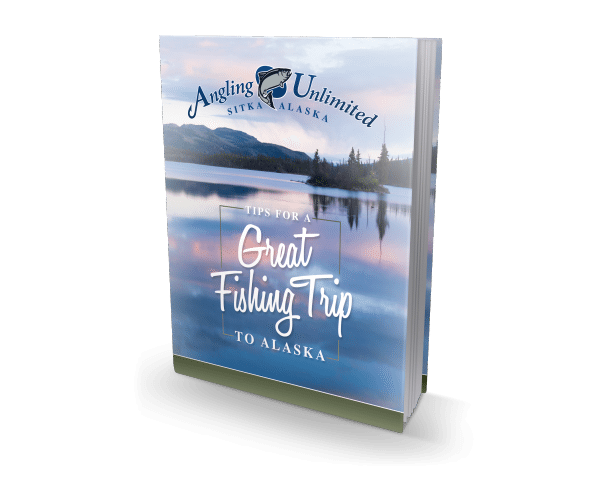 If you are looking for a first-class sport fishing business to guide you to the most productive feeding grounds in Southeast Alaska, we are here for you! 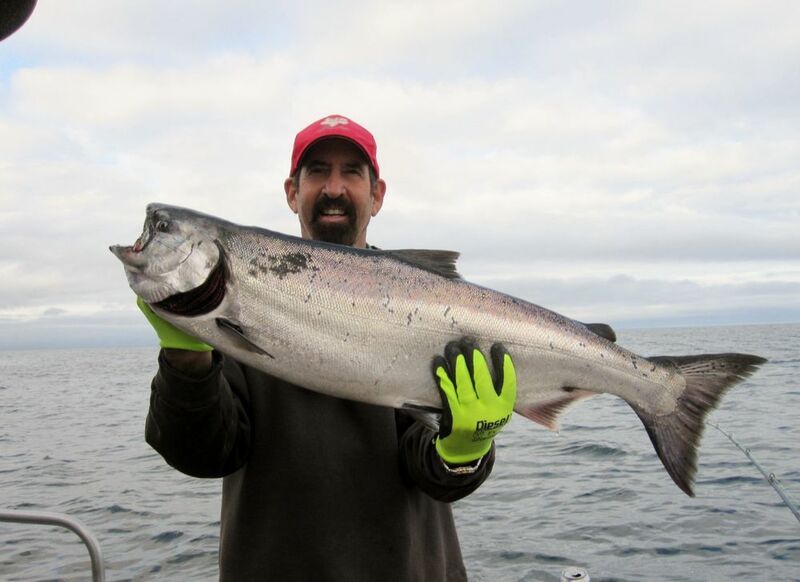 Salmon and halibut charters in Sitka are our specialty. Hear why so many of our guests return year after year. Hear what our guests have to say about their Angling Unlimited experience! The fish you catch deserves the absolute best care. That’s why we handle every step of the processing, ensuring that fish arrives at your freezer as fresh as when it left the docks in Sitka. Subscribe to our FREE Email Newsletter – the Angling Unlimited eNews – to get monthly updates about Angling Unlimited, the fishing, and all the fun from the season.